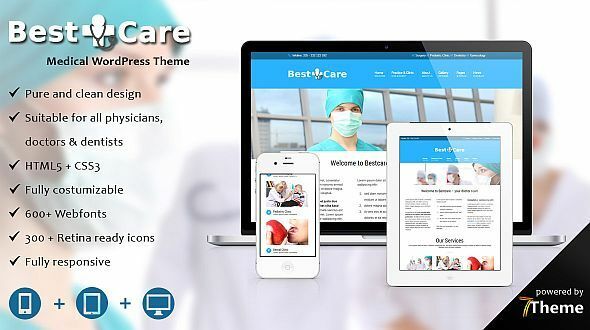 Bestcare is modern professional responsive and flexible WordPress theme, suitable for doctors, dentists, hospitals, health clinics, surgeons and other type of health and medical related websites. You can modify layout, styling, colors directly from within the backend. Bestcare is a most suitable theme for doctors, dentists, surgeons, hospitals, health clinics and any type of health and medical related websites. Bestcare is ready to use from the box. Quickly install it via FTP or WordPress and after you activate it you can load demo content. Then you can add your own content on already designed pages. Bestcare was made to be easy to customize to match your branding from within the WordPress admin area. It is also easy to Upload Your Logo. None of this requires editing code. 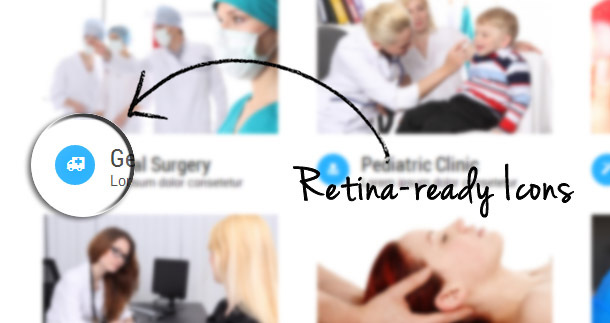 Bestcare looks well on all devices like iPhone, iPad or large screen.